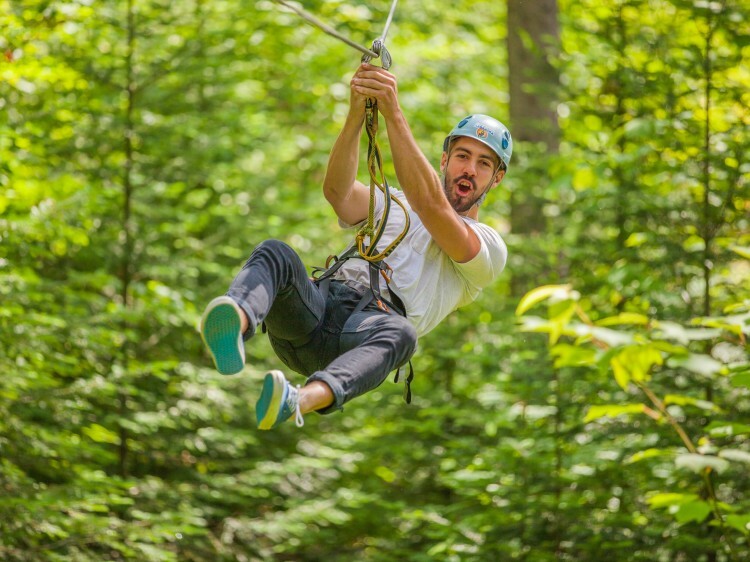 Located in the heart of Mont Rigaud, Arbraska is sure to offer you plenty of thrills. 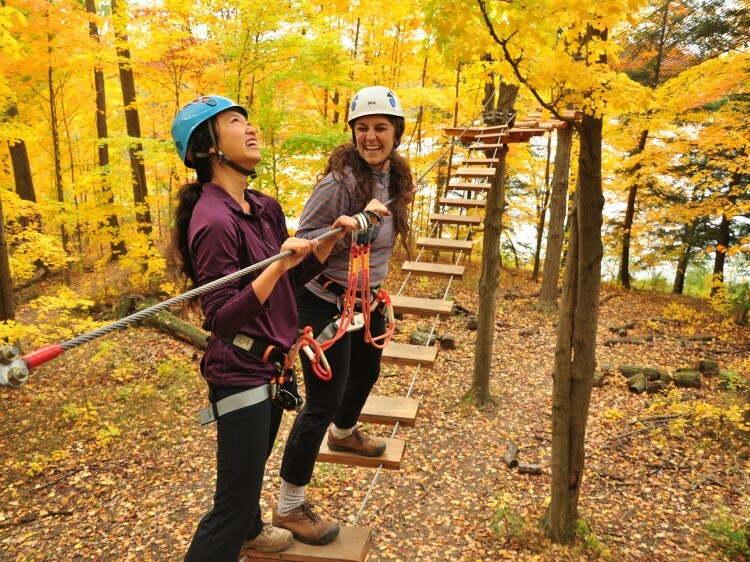 Renowned for its natural beauty and challenging games, the park offers the opportunity for visitors to test their limits as they explore adventure courses and beam with pride once they have completed them! 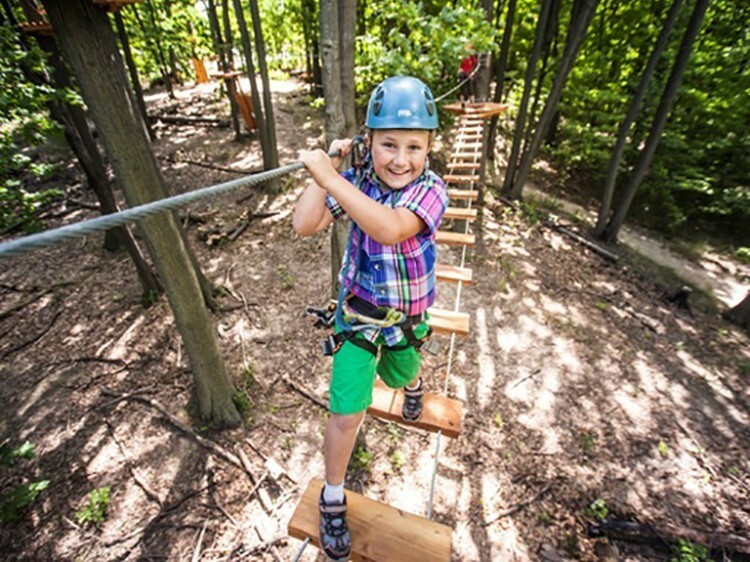 Giant zip lines, Tarzan swings, suspension bridges and many other fun games in the tree tops! 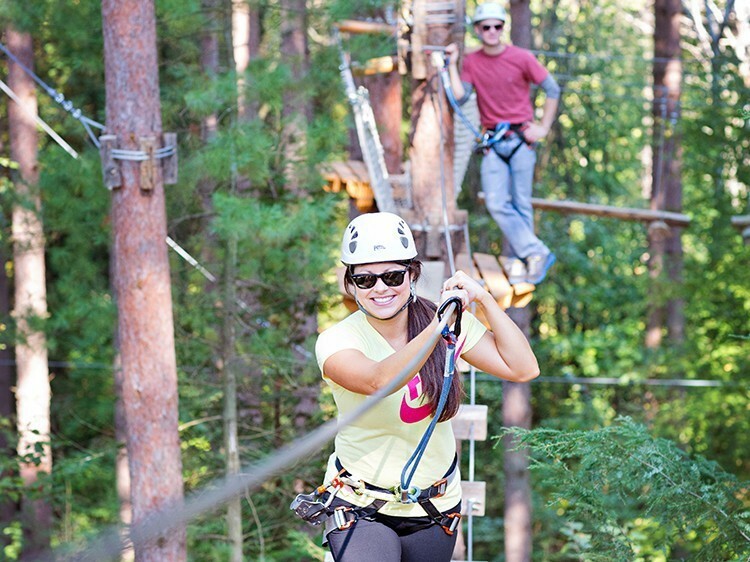 For an unforgettable and challenging experience, visit Arbraska! Booking highly recommended. 5 years and over. The heart of the Village Arbre-en-Ciel consists of a network of colorful tree houses suspended in the trees of a magnificent hardwood forest. 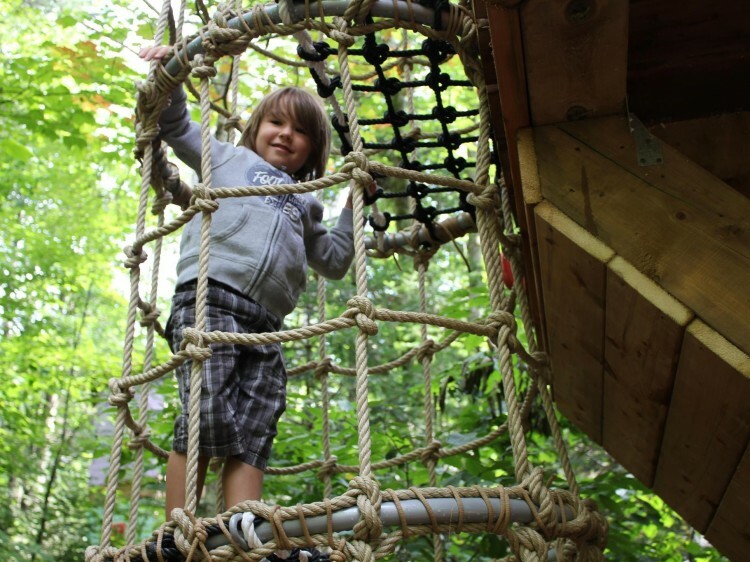 During a typical three-hour tour, young adventurers (ideal for ages 3 and up) and their parents can climb the tree houses using one of the three accessible ramps. 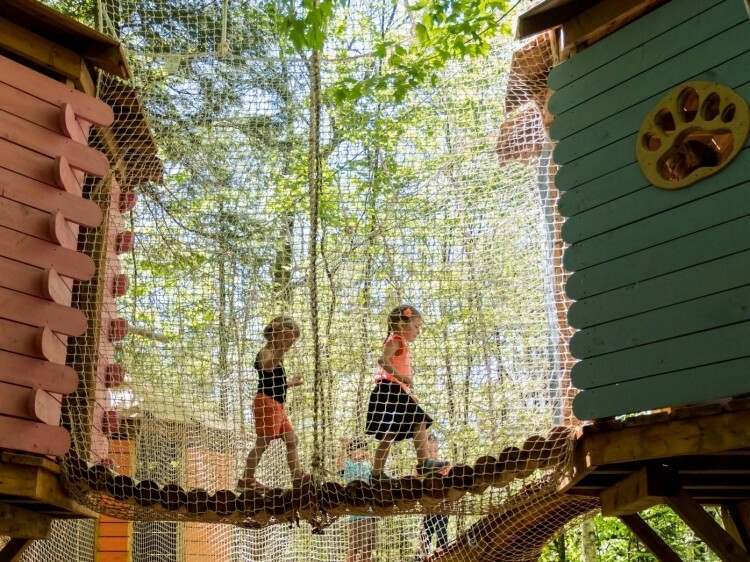 Once in the air, visitors can explore the many cabins that are connected by fillet bridges, tunnels, slides, and ramps to take you back to the mainland.